The Lagos Dream Episode 2 (Cityof the hustlers) - Written by Ebuka Nwafor. HomeInspirational storiesThe Lagos Dream Episode 2 (Cityof the hustlers) - Written by Ebuka Nwafor. "Oga abeg stand up joor!, why are you sleeping like this? come down con carry your load jare" the driver barked into his ears. Dayo had been sleeping throughout the entire journey, perhaps carried away in his deluded dreams of the massive opportunities that awaits him in Lagos. He finally woke up, much to his amazement, he couldn't find the other bag he kept in the vehicle's boot. "My second bag is not there" he shouted!, "what is my business with your second bag"? The driver rudely replied like an angry rat dog and then quickly drove away, Leaving behind a dismayed dayo. That kind of response is common to commercial bus drivers in eko. And to dayo that was his first taste of the bitter 'welcome to Lagos' experience. he had lost his bag. This little narrative was from an episode of the TV dramedy series "HUSTLE" which airs on dstv's Africa magic family. The story focuses on a young man (dayo) who goes to Lagos in search of a better life, with the misguided thought that things will be smooth and rozy, but he soon finds out that the grass is not always greener on the other side. Ofcourse things are never smooth in lagos, everything comes with the extra price of hustling. Abraham Lincoln once stated "things may come to those who wait, but only the things that are left behind by those who hustle. It implies that if you want the good life and benefits that comes with it you must hustle or else you would be left with scraps barely enough for you to live on. There is a common misconception that people who hustle are seen as streetwise, that is pure naive thinking. Hustling goes beyond that, it partly involves merchants putting extra efforts towards selling their merchandise and other business corporations who go the extra mile to gain clients and make profits, it entails company workers, civil servants, professionals and students putting a shift in, to make their careers better. Emphatically hustling is not restricted to the lower class citizens, in Lagos even the middle/ higher class citizens do hustle everyday. American business man Harvey Mackay said "when you have a dream that you can't let go, trust your instinct and pursue it, but remember real dreams take hardwork and patience and sometimes they require you to dig down very deep, be sure you're willing to do that". Imbibing the attitude of hustle is crucial if you want to survive in this city. Like the tale in the animal jungle where the strongest creatures are known as apex predators while the weaker ones become their prey. More so, as the lions and hyenas are top of the food chain, so the hustlers are top of the profit gain. 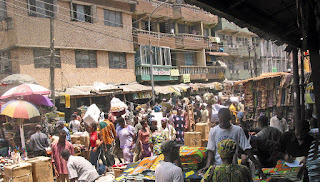 Nigerian rapper Mode 9 once lyrically stated; "Lagos city of hustlers, everybody's in a hurry traders and customers". Well what left in a hurry was mode 9's career, a very promising rapper who didn't stay long enough to reach the hallmark as he deserves, probably he got caught up in the Lagos hustle. 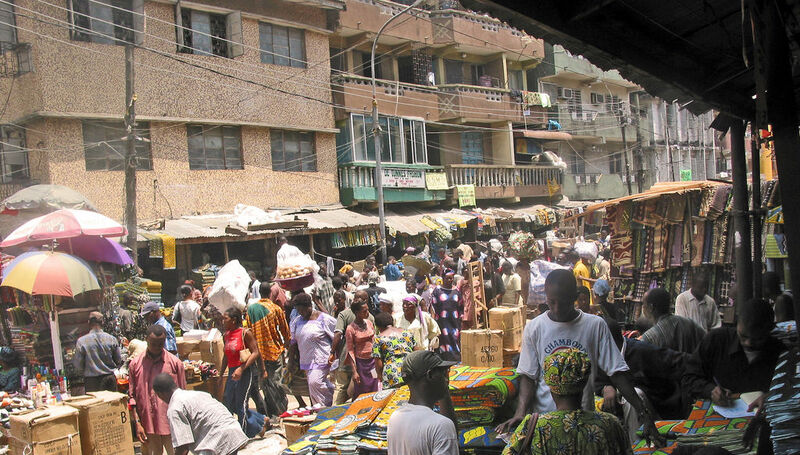 Lagos has been the cradle of Nigeria's hustle for over many centuries ago, originally coined from the Yoruba's word "Oko" (farmland) but it was changed to the very popular "Eko" which has now become acceptable. The land was taken over by the european settlers who visited the settlement in 1472 from the then inhabitants known as the 'awori's'. 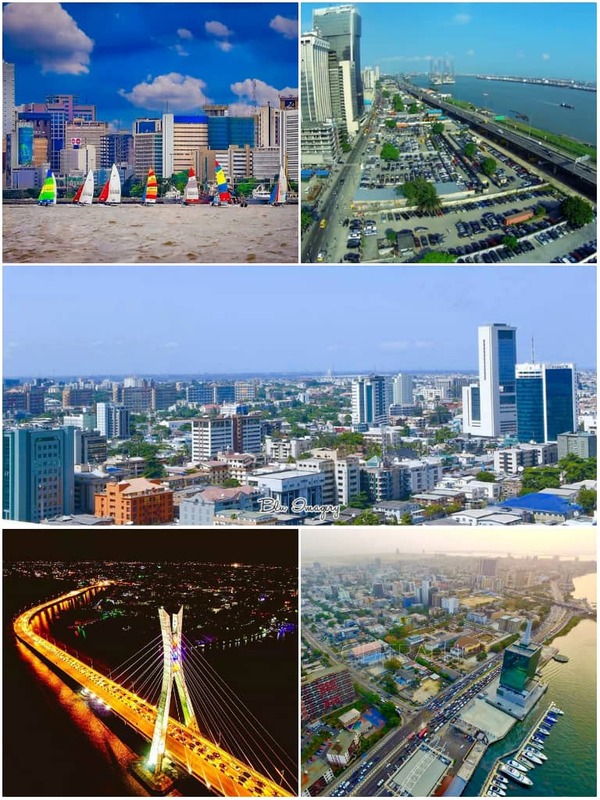 Fast forward to a modern day Lagos, a city known for its dense population, busy streets and massive traffic jams, but it is still a world class destination, Nigeria's premier city and one of the fastest growing cities in Africa and the world as a whole. The city of Lagos is the major economic focal point in Nigeria, generating 10% of the country's GDP. Businesses thrive here, industries are born here and job opportunities are more rampant here than any other city in the country. It is therefore a dream for some people to live in Lagos and also a dream destination for tourist/travellers. There is no doubt that development has been so massive in this city, it has been going at a fast rate much to the brilliant work of the Governor, his Excellency, Mr Akinwunmi Ambode. His visionary leadership and coupled with those of his predecessors has led to the formation of various agencies such as LASTMA, LAWMA. LASEPA and the LASEMA project which has been nothing short of pure success and much to the magnificent work of the chairman Mr Tiyamiu Adeshina, who has made landmark achievement in the project by introducing improved technologies and innovative solutions in managing emergency situations. Lagos is also an embodiment of amazing music talents like olamide, wizkid, falz and the late iconic fela anikulapo-kuti, the list goes on. Only in Lagos will you see talents like Mr Micheal Ibiyemi Fish Olarinmoye, who is blessed with the gift of rehabilitating an ordinary CV into a professional one. What makes these people special is their relentless will and everyday hustle to be better, fair to say that they never rest on their laurels, well you can't have the luxury of rest when you live in this very competitive city. However, also in this state there is a thin line between succeeding and failing, you can go from a hero to a zero with a little lapse of focus, therefore you need to keep your hustle tight. Having talent alone is never enough in this land, there is a quote that "hustle beat talent when talents don't hustle". Dayo speaking to his friend acid after arriving at his house "I don't know how you guys (lagosians) do it but mehn this is stressful ", he was obviously referring to the activities and scenarios he encountered on the usually busy roads and streets which comes with the lesson not to trust anything but your eyes because a typical Lagos den is full of pandemonium. I remember when I lost my high value android phone on a crowded bus station at Ikeja trying to board a vehicle home, the speed at which it was stolen from me, even Albert Einstein himself will struggle to calculate the science behind it, what I didn't struggle to realise was that I have lost my precious expensive phone barely two weeks I bought it. Much work still needs to be done to totally clear out the constant menace of the roads and transportation loopholes but the good work has already began, and the hustlers buoyed by the Lagos spirit (spirit of the hustle) nonetheless share an unwavering hope for tomorrow that they will be living their dreams each day in this city as the hustle continues and hopefully it will end in praise.